Materials and procedures for cleaning your cleanroom, including general maintenance schedules, should be strictly followed as governed by your company policies. 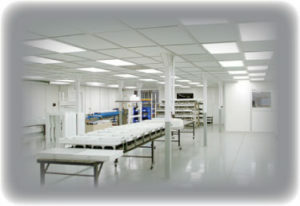 Use Stryk-It Cleanroom and Laboratory cleaner (Available from CRI) diluted with DI or clean water. Dilution rates vary by usage. Wash and dry with separate white cloths. DO NOT use an abrasive or any type of cleaner containing alcohol or ammonia. Specific to acrylic, the use of any cleaner or solution containing alcohol or ammonia will cause severe degradation including cracking or “crazing”, and will void the warranty on the component and/or structure of which it is a part. Ideal for Acrylic and Glass Windows, Softwall Curtain Panels, and Door Strips.